Viticulture has experienced dramatic global growth in acreage and value. As the international exchange of goods has increased, so too has the market demand for sustainably produced products. 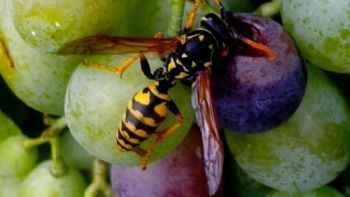 Both elements redefine the entomological challenges posed to viticulture and have stimulated significant advances in arthropod pest control programs. Vineyard managers on all continents are increasingly combating invasive species, resulting in the adoption of novel insecticides, semiochemicals, and molecular tools to support sustainable viticulture. At the local level, vineyard management practices consider factors such as the surrounding natural ecosystem, risk to fish populations, and air quality. Coordinated multinational responses to pest invasion have been highly effective and have, for example, resulted in eradication of the moth Lobesia botrana from California vineyards, a pest found in 2009 and eradicated by 2016. At the global level, the shared pests and solutions for their suppression will play an increasing role in delivering internationally sensitive pest management programs that respond to invasive pests, climate change, novel vector and pathogen relationships, and pesticide restrictions.